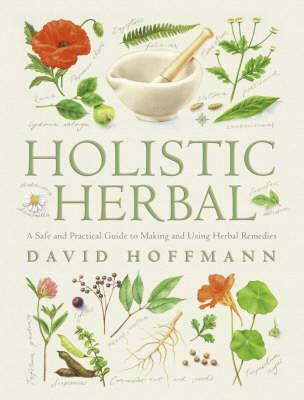 New jacket edition of this classic herbal by internationally renowned herbalist David Hoffman. Easy to use, the herbal is hugely popular with herbalists and laypeople worldwide The Holistic Herbal covers everything you need to know about growing, gathering, preparing, using and taking herbal medicines to improve and maintain health. With simple b/w line drawn herb illustrations throughout, the book is extremely attractive and contains:- a simple introduction to health, well-being and how your body works. * a guide to specific health problems and concerns (you don't need to be sick to take a herbal cure!) and 'which herb' for a range of conditions. * A-Z herbal, covering over 200 different medicinal herbs and plants.This section comprises the main part of the book and is full of detailed information about each herb. David Hoffmann is President of the American Herbalist Guild, and Director of the California School of Herbal Studies.